With a cast of over 40 actors, singers and dancers, the story of Disney’s THE LION KING is brought to life using masks, puppets and striking costumes. It tells the story of young Simba the lion cub’s adventures as he struggles to accept the responsibilities of adulthood and becoming king. 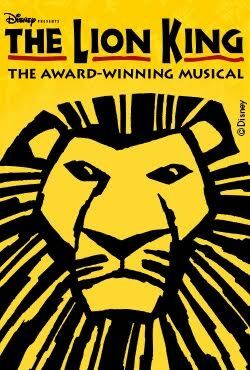 Set against the majesty of the Serengeti Plains and to the evocative rhythms of Africa, Disney's multi award-winning musical is a unique theatrical experience that you will remember forever. Brilliantly reimagined by acclaimed director Julie Taymor, Disney's beloved animated film has been transformed into a spectacular stage production that explodes with glorious colours, stunning effects and enchanting music. At its heart is the powerful story of Simba ­and his epic adventure to his destined role as King of the Pridelands. Now ranked as one of the longest-running musicals in West End history and confirmed as one of London’s most popular attractions, the show is truly an unmissable London landmark. Songs include the hit songs "Can You Feel the Love Tonight" and "Circle of Life". Music by Elton John and Lebo M.; lyrics by Elton John and Tim Rice; Book by Roger Allers & Irene Mecchi. Directed by Julie Taymor, Choreographed by Garth Fagan. Reserve your tickets for The Lion King which is booking to 10th February 2019 .